It happens to me every year…I see that hand-lettered sign at our friendly farm market that says “Local Strawberries” and I pick up a carton full of those little beauties and breathe in deeply. The best way to tell if strawberries are going to taste like you want them to is if they have a sweet strawberry aroma…if they don’t smell like anything, don’t buy ’em. But these smelled like a little bit of heaven, and all I could think was…strawberry lemonade! So I headed down the aisle and got me a small basket full of lemons. You really only need 6 or 7 lemons for this recipe, but they were selling them by the basket, and there’s nothing quite as cheery as a basket of lemons on your kitchen counter, and I can always figure out how to handle a few extra lemons. Now there were only a few cups of water and some sugar between me and a pretty pink pitcher of lemonade…here we go! The first thing you need to do is make a quick sugar syrup, which you do by combining some sugar, some fresh lemon zest and a little water and boiling it for about 10 minutes or so. Now comes the hardest part, which is waiting for the dang syrup to cool down. Distract yourself by juicing about 6 lemons until you have a cup of lemon juice, and hulling your gorgeous summer strawberries. 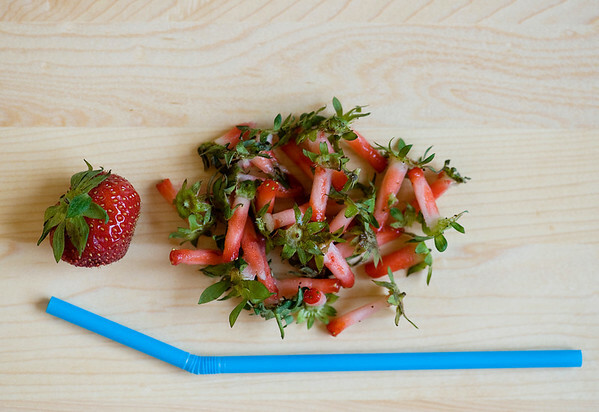 And here comes one of my favorite tricks, which is the Hulling of the Strawberries with a Straw. Yep…grab a plain old drinking straw and a berry. Push the straw up through the bottom of the berry towards the stem. Push all the way through until the straw pops out the other end with the leaves snugly at the end of the straw. It will take you a berry or two to get the knack of it, and then you will wonder why you spent all those years carving strawberry stems out with a paring knife. Your pretty strawberries will be hulled in no time! Pop the berries into your friendly food processor and let it rip until you have a lovely smooth berry puree. Strain it through a fine mesh strainer to get the seeds and bits out….you’re going to do the same thing with your finally-cooled-down lemon syrup. We’re almost there! Find a pretty pitcher and pour everything together – the cooled syrup, the lemon juice, the berry puree and some more water. Drop in some ice, and you are in business. You can liven this lemonade up with some seltzer…or something stronger!…or you can drink it all by its perfectly wonderful self. Combine sugar, 1 cup of water and lemon zest in a small saucepan. Bring to a simmer and cook for 10 minutes. Cool. Puree strawberries in a food processor until smooth. Strain the puree through a fine mesh strainer, pressing down on the solids to get all the good juice out. Strain the cooled lemon sugar syrup through a fine mesh strainer. Combine the syrup, the strawberry puree, the lemon juice and the remaining water in a large pitcher and stir. Add ice cubes and serve! 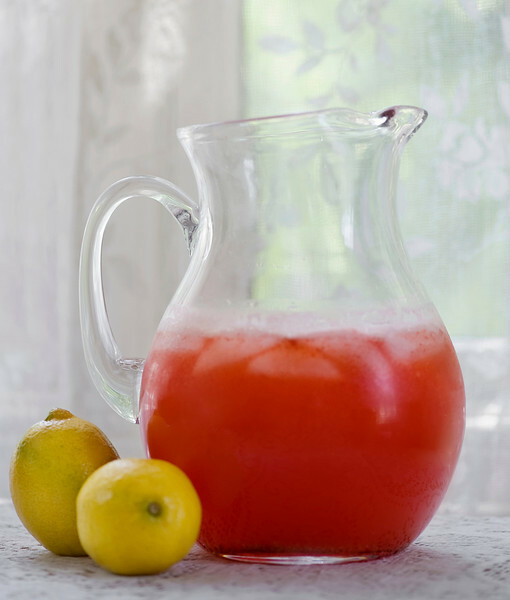 There is nothing like fresh homemade lemonade…strawberry lemonade is REAL treat! My kids would be thrilled if I made this for them! 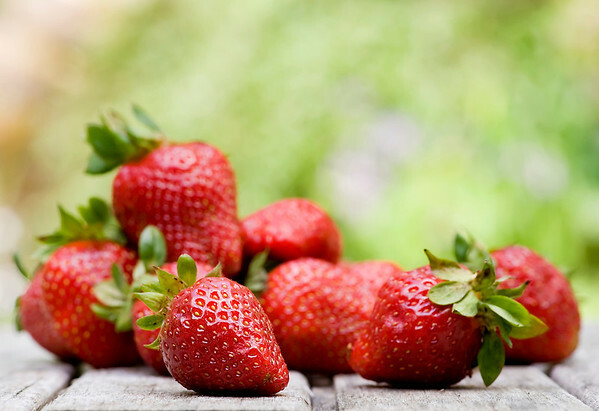 A simple straw to hull strawberries….you are a GENIUS!! Thanks Kate for your great ideas! I try to only ever buy strawberries when I can smell them from across the produce section! This sounds like a deliciously refreshing summery drink. Love how refreshing this looks. Great hulling tip! I can’t tell you how much time I’ve wasted with the paring knife this year alone! Thank you goddess of good ideas. ;) And the aroma. O.M.G. The ones I just got…I had to stand there inhaling that berry perfume. So, so good. I usually get tired of hulling them and start dipping the end in sugar and eating my way to their leafy little caps. Until I get caught. Now I will be the drinking straw maven and all will be well in ruthieland. Heh. Well, at least as far as hulling berries goes. I am making this pretty drink. I love the color.